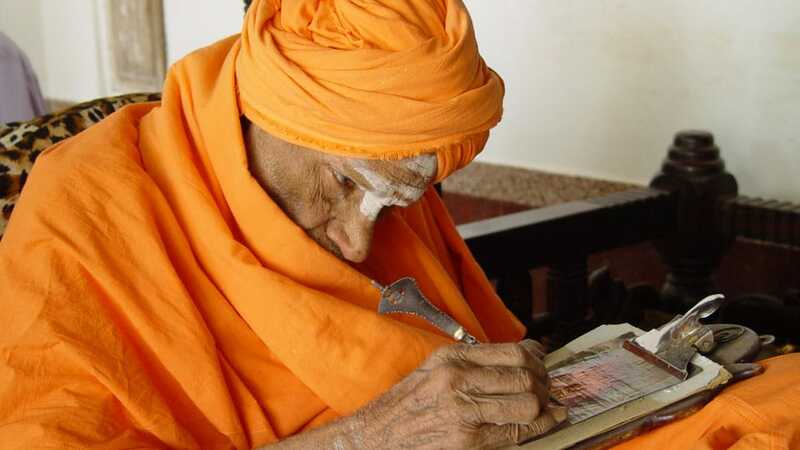 For the past few weeks since the ‘Walking God’ Sri Shivakumara Swamiji left for heavenly abode, electronic and print media have been writing articles about this Saint particularly with regard to the services he was rendering to the society at Siddaganga Mutt in Tumakuru. Perhaps no other Seer has done so much of service to the society in various fields such as education, dasoha (feeding students and guests) that he had become a legend during his lifetime. Most people know him as a great Seer and Saint and may not be familiar with his personal details. That is right. We have forgotten the antecedents of Mahatma Gandhi but we remember him as the Father of the Nation. Shivakumara Swamiji was born in Veerapura, Magadi taluk of Ramanagar district to Honnegauda and Gangammaely on April, 1, 1907. How privileged his parents were is a matter of great pride to the entire family. After early education at Palanahalli, he had middle school education at Nagavalli and passed lower secondary examination in 1919. Subsequently along with his elder brother, he was sent to Government Junior College in Tumakuru where he hired a room and lived there concentrating on his studies but always thinking of doing service to the society. He obtained BA (Hons.) degree. It was good that a great service-minded S. Nijalingappa was the Chief Minister. Unfortunately, it was a time of famine or drought and even the Chief Minister was taken aback thinking as to what should be done under these circumstances. At that juncture thousands of people had gone to the Mutt in Tumakuru. His Holiness Swamiji felt sorry that people had been suffering without a day’s meal. The situation was practically uncontrollable but Swamiji decided to plunge into action and help people. This was what Saint Basavanna had preached centuries ago in the name of dasoha. One hot afternoon, the Swamiji without even a footwear was doing annadana or dasoha. In fact Gandhiji also had advocated this idea earlier. All great persons think alike. Chief Minister Nijalingappa instructed the Deputy Commissioner of Tumakuru district to render all help to the Swamiji. This Swamiji is famous for providing Trividha dasoha which means food, shelter and education (anna, ashraya and akshara). Usually most of the Swamiji’s are limited to a particular community but to the Seer of Siddaganga the entire world was his family (Vasudhaiva Kutumbakam). Though he had a limited formal education he was equal to Buddha, Basavanna, Ambedkar, Paigambar, Plato, Aristotle, Sri Ramakrishna Paramahamsa, Swami Vivekananda, etc. This combination of many great personalities seems rare. From all these social services and specially to the needy he was given many names, such as Kayakayogi, saint of Basavanna of twenty-first century, avatara purusha, Karmayogi, etc. It was again another miracle that he attracted the attention of another great saint Uddhana Shivayogiji and the latter appointed him as the junior pontiff of Siddaganga Mutt. After Uddhana Shivayogiji became one with the great linga, this Holy Seer became the Chief Pontiff and adorned Siddaganga Mutt in 1941. He was with a begging bowl and ran the hostel for poor students and gave them a life of purposefulness and many great poets like G. S. Shivarudrappa and others grew under this great banyan tree. Because of his foresight many educational institutions are running now and have been giving good education which included dharmic studies also. Thus he produced good and useful citizens. In fact most of these students were anathas (no supporters) but Swamiji did not like this phrase to be used. Men and women may not help students but for such students, God alone will be the father and mother and what a great comfort indeed! When he became a Centenarian, Karnataka Government honoured itself by presenting Karnataka Ratna in 2007. Suitably the ‘Walking God’ was awarded Padma Bhushana in 2015. All these titles are only Sevaratna for the Swamiji. When he was unable to go to receive these honours, the Karnataka government itself went to Siddaganga Mutt and conferred on this Swamiji Rashtriya Basava Ratna Award. All these awards brought honour to those who gave them but the Swamiji received them as a Sthithaprajna as described in Bhagavadgita. He was really a Sthithaprajna, and such Seers are born once in a century. Due to relentless hard work and added to it old age, the modern Basavanna became one with Linga on Jan. 21, 2019. The entire nation, irrespective of caste and community or rich and poor felt that they have lost a great supporter of the cause of the poor and downtrodden. Most of the Indians believe in re-birth and their prayer in chorus was and is that this great Trividhadasohi should be re-born to guide the entire Indian community and also become a beacon of light. It is said that God always obliges those devotees who pray to him with devotion. We all hope for the same. Before closing this small note of homage to this great service, I recall two instances in which I had the good fortune of being with this Swamiji — one was a Conference on Numismatics (ancient coins). I was greatly interested in ancient coins and I was the Conference General Secretary. The Swamiji asked the people around him as to who can explain him about the importance of ancient coins. Naturally, delegates mentioned my name and Swamiji called me and I stood at a short distance. He called me and made me sit by his side and put his hands around my neck and asked many searching questions which I explained as far as I knew. He felt happy and I offered some copper ancient coins to him. But he politely refused saying they will be more useful to scholars in ancient coins. Another occasion is still green in my memory. Authorities of Mysore University sent a small delegation of some three or four persons including me and Dr. Marulasiddaiah (Professor of Sanskrit) to see how the hostel, food and education at Siddaganga Mutt is working. We all reached Siddaganga Mutt by about 11 am and met the Swamiji and prostrated before him. Immediately he sent us to have breakfast first and other things next. We followed his instruction. After breakfast we called upon the Swamiji and he himself took us around and explained all the things we wanted to know. He asked us to stay that night in the guest house and observe the things we wanted. We did all these things and prepared a report and submitted to the authorities of the Mysore University. I do not know what happened to this report. But I was blessed by the ‘Walking God’ and that is my good fortune. This is my humble homage to the great soul. Sri Swamiji is not physically with us now but his ideals in all walks of life is alive and will guide all of us for a better life. I am grateful to the famous writer and journalist Bannur K. Raju whose articles I read without fail. His article in Mysooru Mithra dated 22nd January 2019 has been of great help to me in writing this tribute. Once again I prostrate before the Soul of the Walking God.